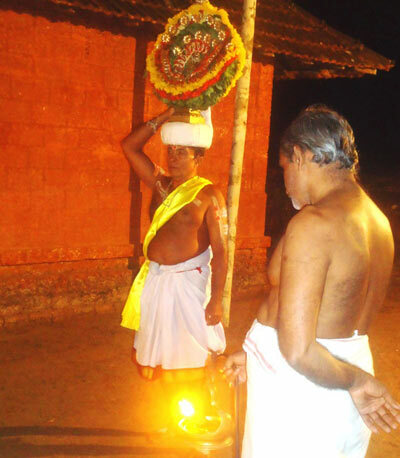 Thidambu Nritham is a a ritualistic art form that is about 700 years old . 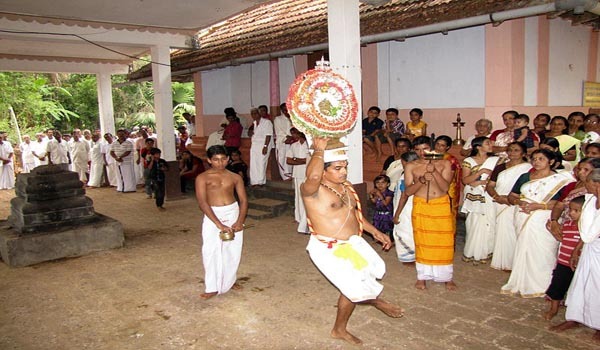 It is performed in Temples of North Malabar. Brahmin communities like Shivalli, Karhade and Havyaka mainly perform this art. 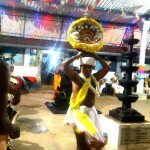 Malabar is the main for its culture and tradition. 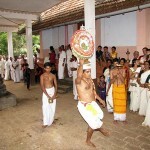 It is an elegant dance that is done carrying the decorated image of the deity upon the head. Replicas are made of bamboo with which a beautiful frame with intricate designs is created. 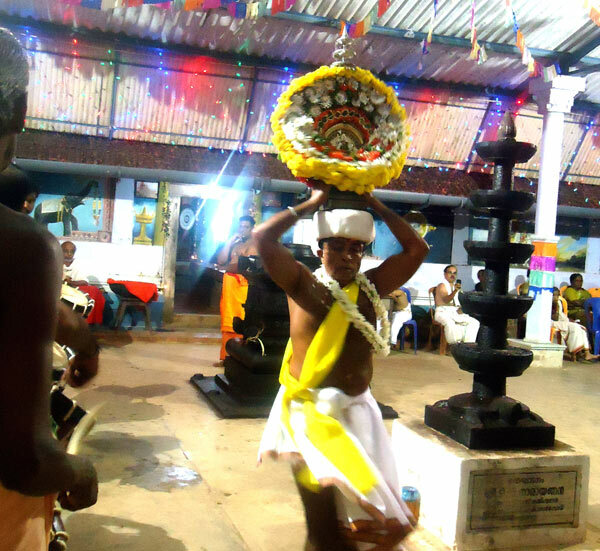 This ritual art form is believed to be over 600–700 years old and follows the principles of dance laid down in Natyasasthra the ancient treatise on performing arts compiled by Sage Bharatha in the second century B.C. 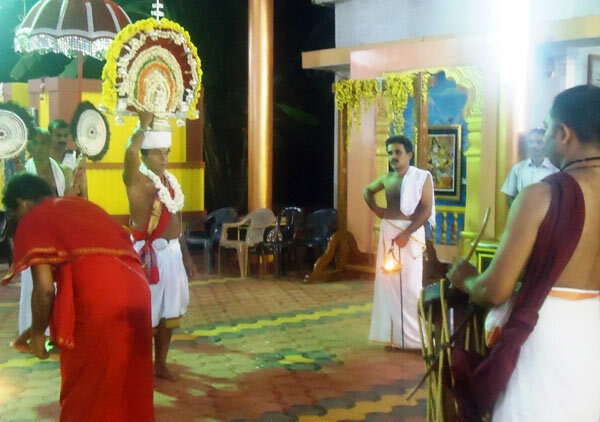 The dance Thidambu Nritham is done mainly by upper caste Hindus called as Namboodhiris. 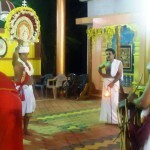 It is performed both outside and inside the temple. Dancers wears beautifully decorated Skirt of pleated cloth, a silk vest, earrings, bangles, necklaces and a decorated turban called ushnipeetam. The dancer is usually accompanied by a group of artistes, five of whom play the percussion’s and two hold aloft the lamps. The dancer moves to the rythmic beats of the chenda carrying the thidampu a symbolic image of deity on his head. Seven artists accompany him on percussion instruments while two others hold aloft the ritualistic lamps. The artists wears much jewellery and a decorated turban known as Ushnipeetam. 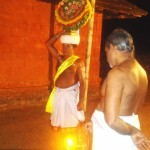 Brahmasree Puthumana Govindan Namboothiri,resident of Puthumana Illam,Chemmattam Vayal,Kanhangad is a famous and distinguished thitampu nritham artist (expert) at temples.